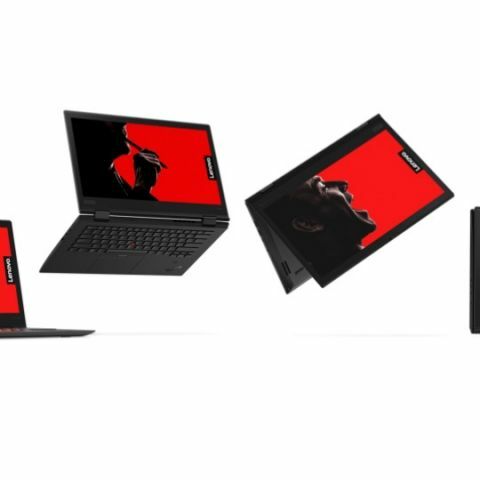 The latest Thinkpad X1 Carbon and Yoga X1 Carbon laptops will be powered by new 8th gen Intel processors and will support Amazon's Alexa voice assistant. After updating its entire Thinkpad lineup a few days back, Lenovo is now updating the two Thinkpad flagship ‘Thinkpad X1’ laptops. The company is bringing support for Dolby Vision HDR and features like Amazon Alexa Wake on voice. That’s not all, both the new laptop lineups will now be powered by Intel 8th gen Core i5 / i7 variants. Like with most business-centric machines, these chips will have Intel’s vPro security enabled. 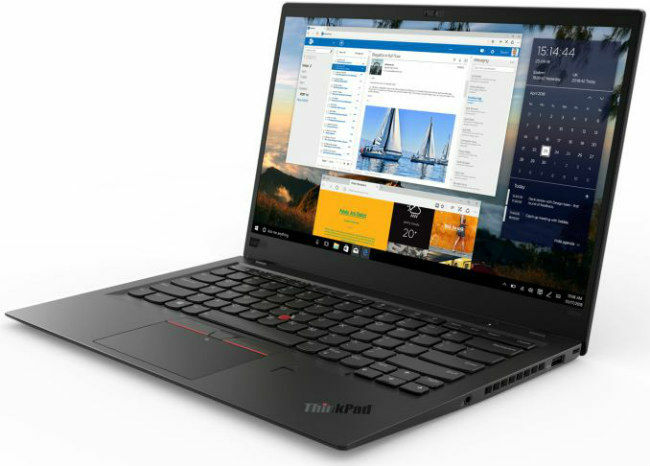 The Lenovo Thinkpad X1 Carbon will be available starting later this month with prices starting at $1709. As for the convertible Lenovo Yoga X1 Carbon, the prices will start $1889 and it will also hit the markets later this month. There aren't any stark difference in design and build quality between the last gen variants of the Thinkpad X1 Carbon and X1 Yoga laptops. The Thinkpad X1 Carbon is 15.95mm thick and weighs just over a kilogram (1.13Kg). The New X1 Yoga is also similar to its predecessor and is 17.05mm thin and carries a weight of 1.4 kilograms. Both machines offer 14-inch displays with 1080p and 1440p options, with the X1 Yoga offering touchscreen capabilities. The other big feature Lenovo will be offering in the future is Dolby Vision HDR, which it will implement via a software update. Currently, the display supports 100 percent of the Adobe RGB color gamut and up to 500 NITS peak brightness. As for RAM and storage, both laptops will be available with up to 16GB LPDDR3-2133 RAM and up to 1TB PCIe SSD. For connectivity, select models of both laptops will offer Fibocom L850-GL LTE-A modem for global mobile connectivity. Both laptops will also offer Intel 2×2 802.11ac Wi-Fi and Bluetooth 4.2. For ports, both machines have 2 × USB 3.1 Type-C ports (Thunderbolt 3 enabled). Apart from that the Thinkpad X1 Carbon and X1 Yoga feature 3 × USB 3.0 Type-A and 2 x USB 3.0 Type-A respectively. In addition, you also get an HDMI out. 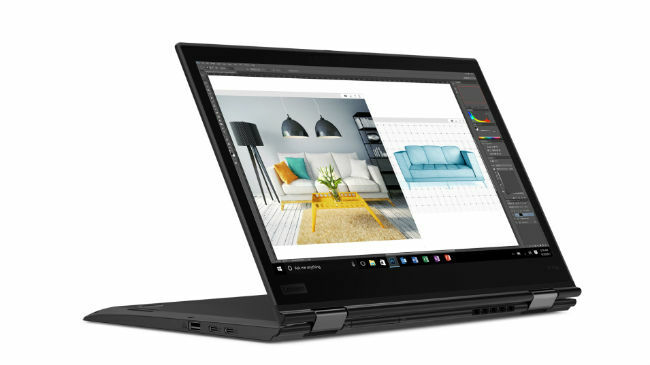 Citing various privacy concerns by its customers Lenovo has added a “ThinkShutter” to both its X1 laptops. This is essentially a simple camera shutter via which you can cover the camera physically. While the battery size is not yet known, Lenovo claims that the 1080p variant of the machine can go up to 15 hours and the 2K resolution variant will last up to 12 hours. 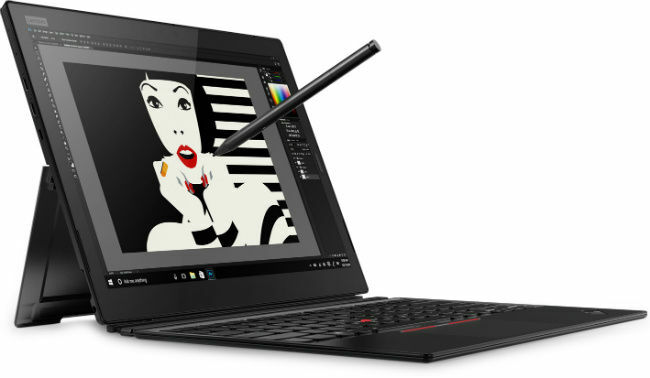 Lenovo has also launched an all-new Thinkpad X1 tablet which will be available in 12-inch and 13-inch variants. While the 12-inch variant has a resolution of 2160×1440p, the 13-inch version has a 3000 x 2000p resolution. As you must have noticed, the display has a 3:2 aspect ratio making it a direct competitor to Microsoft Surface book. In addition, the display on the X1 tablet also supports Dolby Vision. It will be available in multiple CPU options from Intel’s 8th gen lineup. The 8.9mm thick device will feature up to 16GB of RAM and up to 1TB PCIe based SSD similar to its laptop cousins. Lenovo claims about 10 hours of battery life. The Thinkpad X1 Tablet will also go on sale this month and prices start at $1599. Is Lenovo ZUK Z1 has DOLBY ATMOS Features?